Alter The Press! 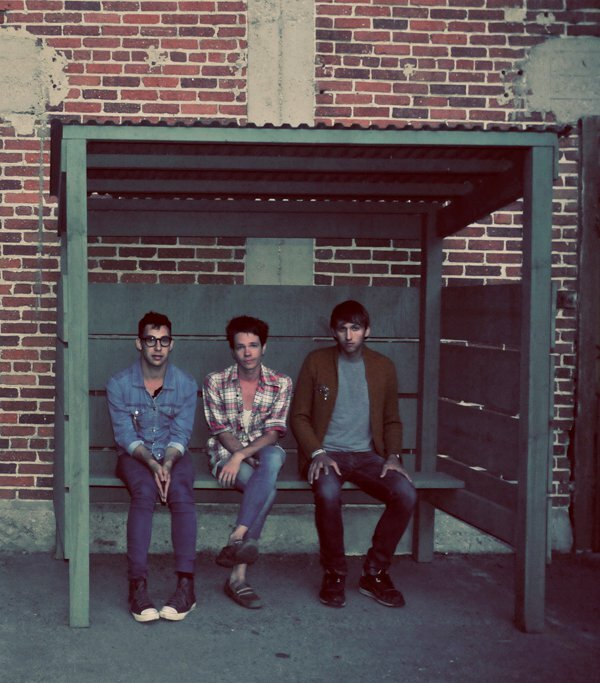 : Interview: fun. It was over a year ago Alter The Press! first sat down with Nate Ruess of the New York three-piece, fun. and it's hard to imagine the wild ride they have gone through since then. Whilst back in the UK for their second run of shows, we caught up with Nate and spoke about how the last year has been for the band, finally making it over to the UK, the forthcoming music video for 'Walking The Dog', rumors about signing to Fueled By Ramen and more. Alter The Press: This has been the second time fun. have played the UK. How has it been to finally make it overseas? Nate Ruess (vocals): It's been wonderful. The first time was unbelievable, because we had no idea what to expect and, judging by the last time I was out here with The Format, (Nate's previous band) I wasn't expecting much. This time round, we haven't really been to London, but we did a couple of headlining shows on our own. It hasn't been as crazy as London, but it’s still shocking to be somewhere like here. Any excuse for us to take a trip across the pond is wonderful. ATP: How was the week in London, in March? Nate: Amazing, we stayed at our management company's flat for the week, and it was nothing like I'd ever done before. We were in a solitary area, we were kept busy with shows and interviews, but the bottom line for us, was that we were in London having a great time; and that we wouldn't have to worry about having to travel in a van all day. I got a gym membership to the place downstairs; it felt like we were living there for a week and a half, with all this stuff to do. ATP: The album came out in August 2009, what stood in the way of fun. coming to the UK? Nate: I think it was just careful planning, but I'm glad it happened the way it did. We knew what we had in the US, so we knew the best way to capitalize on it in a business standpoint. Things ended up going so well over there that it allowed us to come here and be confident, and I think confidence makes for better shows, and, inevitably, for a better band. By the time we got here we were confident, but I wouldn't say arrogant. I know if I'm unsure about something, I can get scared and shut myself in, but we came here feeling like we've done our job in the US; so we could come over here and not be scared. ATP: The last time we sat down for an interview, was over a year ago now, before the album was even released. How has the last year been for you? Nate: It's been a wild ride! For the most part, it's been amazing. I didn't expect any of this. I was expecting everything to take longer in time, it wasn't discrediting to the music or anything I had done in the past, but I always assume for the worst in a band perspective. I like to think I'm always optimistic in life, but I thought everything would take a lot longer then it has. I think, from an artistic stand point, we’re not as beaten and battered compared to the last time we talked because, even though we were having a great time on tour, and so confident in the record, we didn't know how things were going to turn out. ATP: Were you happy with the turnout? Nate: I've always been more than happy with the album, and I knew if people gave it a chance it would mean something to people. I feel like it's been like that. ATP: What's been the best tour you've done since the Manchester Orchestra tour? Nate: Our headline tour in the United States was amazing, the London trip was amazing, and we just got off the Paramore tour, which was amazing. I really can't complain. There are six of us, and there are a lot of people who would complain in the van, but we've been on tour for nearly five months, and we don't complain. Sometimes we'd look at each other and sigh about how busy we've been, but no one complains because we get to see the reward of the hard work; like seven hours of having to drive in the United States each day, by the time we play at night, it pays off. ATP: Have you started work on the follow-up to 'Aim and Ignite'? Nate: No and yes, mainly no, but I feel like I wrote a great song last time we were in England, and I didn't really touch on it for the last month and half but, since I've been walking around alone and whatnot, I've been working on it even more. That's how I plan on spending our summer off. Hopefully the other two guys and I will get together and we'll have a collection of new songs. We'll do what we did with the last record. ATP: Is it weird, for the most part, not touring with Jack (Antonoff)? Nate: Yeah, it can be really weird, but we've gotten to a point where it's not a crutch for us. I don't feel like it's been a crutch for the crowd, but I feel like it's a special treat for the crowd when he plays. It doesn't effect who we are as a band. ATP: Have you signed to Fueled By Ramen? ATP: Where did this rumor start? Nate: They are selling our t-shirts. I haven't signed any contracts; that's all I can say. ATP: You just shot a video for 'Walking The Dog'. What can you tell us about it? Nate: I don't really know much about it. When I get on tour, people know they can't get a hold of me and I'm not reachable, I just get into touring mode. There were e-mails about a music video we we're doing. I've never been one to enjoy music videos, or being in music videos, but apparently there was a concept that everyone else liked. We filmed it last week and it should be crazy. I'm not going to watch it because I've never seen one of our videos. I can't look at myself without going into deep depression. If it's like anything we shot, it should be really cool. The video was shot on a set in Los Angeles, but I guess the only thing I can really give away is that we are each painted in different colors, head to toe. ATP: Is there a tentative release date so far? Nate: Hopefully, within the next month. ATP: Will it be the next single? ATP: What is the plan after this UK tour? Nate: Go home for a few months. I have to go home. What's weird is that I'll get home for a week, and then I'll have to go back on tour. I think we are all really tired, and being back in London is like a victory lap for us, after five solid months of touring. I need to figure out my life outside of music, and hopefully I can figure that out really quickly, so I can get right back into writing the next record. Then we'll go on tour in the late summer or early fall. Nate: Well, everyone who I speak to says England is just another US city, another stop on tour, which is great and I'm psyched about that. ATP: You've done US and now UK. Do you have plans on taking fun. anywhere else? Nate: I certainly hope so. We haven't talked about it, but I assume the next time we come to the UK, we'll spend a lot of time in the rest of Europe. ATP: Any plans on coming back yet? Nate: Always. Our plan is to not start recording until the end of the year, which is good because there really aren't any songs. The plan is, to take the summer off, then get back on tour. From everyone that I talk to, and everyone who works with us in the UK, the plan is to come back at least two more times before the end of the year. ATP: Will you be supporting Paramore later this year? Nate: We can cross our fingers, they've become friends in such a cool way, that these are people that we'd hang out with in everyday lives. We have such respect for a band that can fill a stadium for a show. No matter whether or not we might sound like them, we strive to do the exact same thing. I can only hope that it would happen. There have been no definitive talks about it, it's been a, 'Wouldn't it be cool if we all played together in the UK?' And I wasn't the one who said that. ATP: Thank you Nate. Anything else you would like to add? Nate: When does the album drop in the UK? June 7th? That's all that matters! 'Aim and Ignite' is released in the UK on June 7th via Hassle Records.